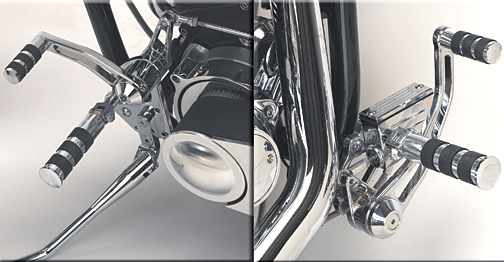 Harley Davidson Softail Forward Controls Extended Chromed Billet 1936-1999 (except FXR, FLT & Dyna®). Real craftsmanship shows all through this Highly polished Billet Aluminium accessory. 2" Extended Length gives a more comfortable driving position for taller bikers.